If you’re anything like us, as soon as the calendar flipped to November your belly started rumbling thinking about all of the delicious Thanksgiving goodness that you’ll be consuming later this month when hosting at your Foxbank Plantation home in Moncks Corner, South Carolina. 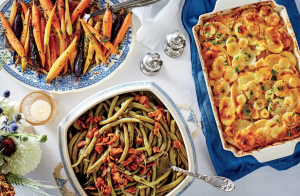 However, with so many classic dishes to choose from out there, it can be difficult to narrow down your Thanksgiving Day menu. Luckily for you, we’ve searched high and low across the Internet and put together a list of the top 10 Thanksgiving recipes that made our mouths water like crazy. If you don’t have homemade rolls at your Thanksgiving dinner, you’re doing something wrong. This essential recipe from Bon Appetit is a crowd-pleaser. 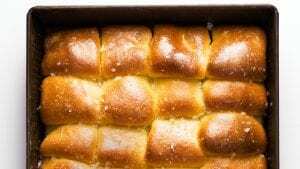 Complete with a top coat of melted butter and a sprinkle of salt, these Park House rolls are the perfect complement to any feast. For anyone growing up in the South, you know that cornbread is a staple for any big family meal. A sweet, savory side dish, this skillet cornbread recipe can be served straight out of the skillet — giving you one less dish to clean. Why settle for one cheese in your macaroni when you can have four? 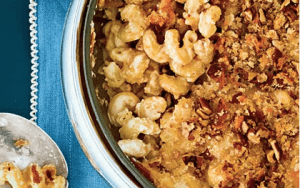 This mouthwatering four-cheese macaroni recipe brings together all the cheesy goodness with Monterey Jack cheese, fontina cheese, white Cheddar cheese and Asiago cheese. Topped off with fresh breadcrumbs, bacon and pecans, there’s a lot of love in this recipe. One of our favorite comfort foods at any holiday meal, green beans bring back memories of sitting on the front porch, trimming green beans by hand just the way our grandmothers used to do. For this recipe, using a slow-cooker saves valuable stovetop space and allows for a truly tender and savory final product — complete with bacon, of course. 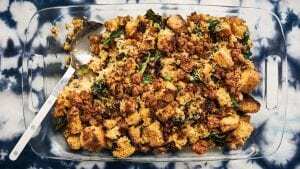 According to Bon Appetit, “the key for this stuffing recipe is making your own buttermilk cornbread.” But don’t worry, it’s not as difficult as it sounds, and the final result is worth the work you put into this delicious, buttery side dish. Whoever said grits are for breakfast clearly didn’t grow up in the South. If it were up to us, grits would be consumed at every meal. Thankfully, Country Living agrees. 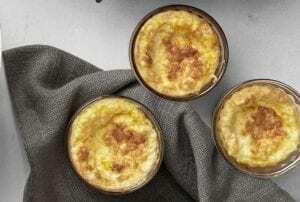 Their savory, cheesy grits pudding gives a nod to the traditional corn pudding, with a grits twist that puts it over the top. 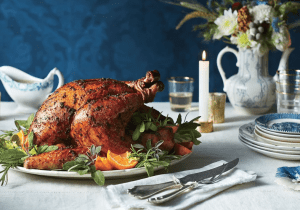 As much as we love a good fried turkey, it’s hard to beat a traditionally roasted turkey. This recipe calls for an aromatic infused butter, made with sage, thyme and fennel seeds. The result? A perfectly golden-brown skin with succulent, juicy meat that will keep your guests begging for more. Speaking of tradition, it’s not a true Thanksgiving celebration if you don’t have a pumpkin pie (we’re pretty sure it says so in the Constitution somewhere), and Bon Appetit’s recipe takes the cake. 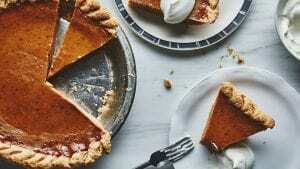 With a rich blend of pumpkin custard and spices, this pumpkin pie recipe isn’t too sweet or rich — it’s truly just right. 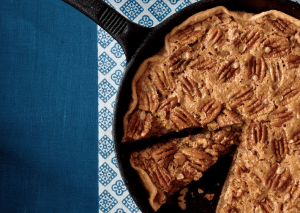 According to Southern Living, “once you’ve made a pecan pie in a cast-iron skillet, you may never go back to a pie plate.” This timeless treat has just the right amount of ooey, gooey pecan goodness to top off an equally delicious Thanksgiving feast. 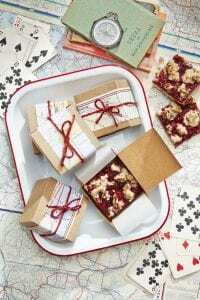 Great for a little snack in between Thanksgiving courses or as a sweet side dish, these cranberry crumb bars are a quick, easy fix that you’ll want to break out all year long. With toasted pecans, fresh cranberries and apricot preserves, there’s a perfect mix of salty, savory and sweetness to last throughout the holiday season. 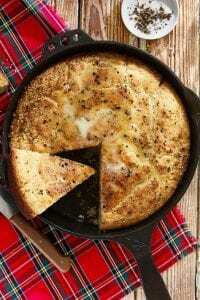 This entry was posted in Foxbank Plantation, Holiday, Recipes and tagged Holiday, Recipes, Thanksgiving. Bookmark the permalink.